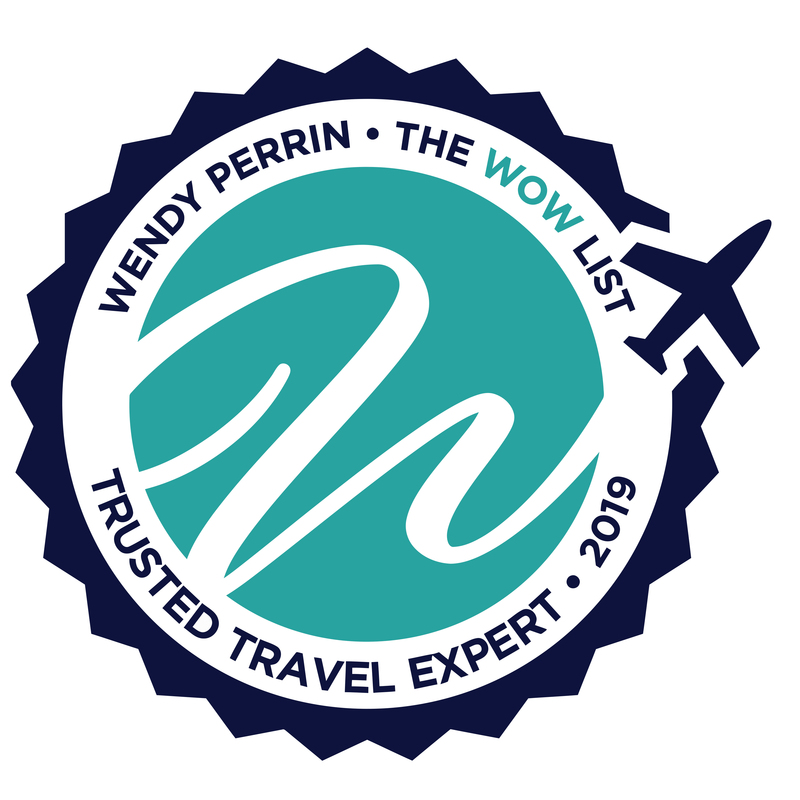 Tom Baker is on Wendy’s WOW List of Trusted Travel Experts for his expertise and connections as regards Large, Affordable Cruise Ships and River Cruises. The reviews below are from real travelers who’ve taken trips that were arranged by Tom and monitored by Wendy. Don’t miss Tom’s Insider’s Guides to Alaska Cruises and Mediterranean Cruises. Tom was immediately able to tell me all about the cruise and the ship, especially noting ways the trip might differ from other Uniworld trips we’d taken. I know I would not have been able to accomplish this on my own! First, there was the challenge of arranging a river boat cruise for a group of 16 aged 19 to 78. AmaWaterways was the suggested line to use, and it was perfect. There were at least a half dozen college aged travelers on board, as well as many middle aged and older people. There were fun bike rides that the younger ones participated in and slow walker groups that a couple of our group joined. Most of us did the normal activities. The real challenge was when, at the last minute, 2 people could not go do to spouses becoming seriously ill (one actually passed away on the trip). Tom and Ian managed to get AmaWaterways to allow two substitutions at no charge! I know I would not have been able to accomplish this on my own! They were helpful from beginning to end and I felt that I could always call with questions problems and know that they would immediately work on resolving the issues. All in all, a very great trip! Tom alleviated all of the concerns of these reluctant parents! Tom and his team were a great resource in planning our recent cruise. Our son had his heart set on cruising on one of the biggest cruise ships in the world and Tom alleviated all of the concerns of these reluctant parents! Harmony of the Seas was an incredible ship for our family and Tom helped us select an amazing cabin, steered us toward great activities and dining, and made planning a breeze. We will absolutely seek out Tom’s assistance for any future cruises. You can tell that Tom is an absolute cruise expert—it sounds like he’s been on every cruise line! Tom and Ian were very helpful during our last-minute search for the perfect Christmas cruise, and we’d certainly book through them again. Tom is definitely an expert — it sounds like he’s been on every cruise line available — and Ian is very good with the booking details. Together, we narrowed down our search to Uniworld and Crystal because we wanted a fairly high-end experience. Tom told us he liked both lines a lot as the food and service were equally excellent, but for the same price, the rooms on Crystal would be larger, with a butler for every room. In the end, we liked Uniworld’s itinerary better, and figured we were used to smaller European hotel rooms, so we’d manage fine with a mid-tier room on Uniworld. And as nice as a butler would be, we questioned why we would really need one. Well, turns out it would have been very nice to have had both! In our room, there was a dresser as well as drawers under the bed, but if the drawers at the foot of the bed were open, there was no walking around the bed. Also, we came back every day with soaked coats and shoes from the rain and snow, so often, our room resembled a laundry facility — while other guests just handed their wet items to their butlers. We also visited the laundry room a couple of times, and while it was fairly well equipped with a good iron and two good washers/dryers (a small steamer would have been a good addition), we were required to stand in line and wait our turn. I will add that as Tom had said, Uniworld’s interior of the SS Beatrice was lovely, and the service and food were indeed exceptional — and we are pretty particular women. The only thing we didn’t like was the rushed feeling on all but one morning, given the 7 a.m. breakfast and follow-on excursion schedule. We understood why this was the case, but consider yourself forewarned if you’re looking at any river cruise and you’re not an early riser. One detail that could have been better in our planning process, as alluded to earlier: on the day our final decision was due, we realized we hadn’t truly compared itineraries in detail — with Tom and Ian, or on our own. We just assumed that since the routing was almost identical for Crystal/Uniworld, the excursions would be the same. But no. Fortunately, something caught our eye, and we realized that Uniworld had a few more excursions that we really liked. For instance, it offered a glass-blowing factory tour combined with a sleigh ride in the Bavarian forest, and Crystal didn’t. That drew us in, for sure. And even though the sleigh turned out to be a horse-drawn covered wagon in the snow, we and our new friends felt that this outing, along with the best tour guide ever (Eva! ), made it the most memorable day of our trip. There were a lot of holiday movies on our in-room TV that we didn’t discover until our third night. Given the time difference, we were awake until midnight or later each night. So from then on, we watched a movie each night, which was a great way to top off each day. And re: the Christmas markets…if you see an item at one of them that you really like, don’t assume that the next market will have that item as well. Yes, you can find knit hats in every market, but the old fashioned glass ornaments in Germany’s markets (especially Nuremberg) were never to be seen again. So grab them while you can! Tom went out of his way to get in touch with a personal contact at the cruise line to book the cruise before it was open to the public so that we were able to book a specific suite. He was helpful in determining which suite would meet our needs. Tom is extremely knowledgeable about the different cruise lines, ships, and specific cabins. Using information he receives from his clients he helps them make an informed decision as to what cruise will most suit them. His expertise helps his clients surpass the experience they are looking for. My wife and I were in Regensburg, Germany on our cruise. We did a day excursion and the nice folks at Viking miscalculated the number of people left in the city. The ship had sailed to the next port (Kelheim). We volunteered to stay behind with the guide to wait for a taxi so that family members could remain together. Unfortunately, that taxi did not appear for nearly an hour and a half. We honestly thought someone on board the ship would at least apologize for the inconvenience, but instead, my wife was told, “it happens.” That night I emailed Tom and he emailed me back stating that he would contact senior management at Viking. Within one day of our return, I had received a phone call from Viking regarding the issue. They gave us large credit toward a future cruise. Also, Tom and his team were very patient with us during the planning phase of our trip. We had many questions and they were very helpful. There were 4 travel agents on this cruise. I watched how they reacted to the situation with their clients who were also on the trip. They were very negative in response to the issues and didn’t represent their clients very well. When asked why we chose this particular trip, we told them about your experience with your family and that you were a consumer travel editor. We told them that we chose Tom because you said he was the best in the world and I believe he proved that. Our specialist Tom was able to find us a cabin on the tour we wanted in spite of us not being able to book the tour ourselves because the tour was sold out. We had been contemplating a river cruise in France in October. By the time we decided which tour we wanted, we were told the tour was sold out! But Tom Baker found the tour we wanted on the boat we wanted in the month we wanted! The travel specialist added value to our trip by giving us $300 onboard credit. BEST. And that should say it all. I just completed with my husband and another couple a Viking Danube River Cruise—from Budapest to Nuremberg with a Prague extension—that was planned by Tom Baker. I could use all those adjectives that others have/will use to describe him….but I’ll just use one. BEST. And that should say it all. From the moment I first started talking to Tom about a Viking Tour for my husband …and our two friends that accompanied us…..he was personable, professional, patient, knowledgeable… all that the things that an employer would want their employee to be when representing their company. Quite simply…he’s the whole package. You have a gem there and I hope you know it. Ian was also fantastic about getting us information when we needed it…..so he gets credit for making this trip fabulous too! And when a small but important issue arose with our travel plans…Tom was on top it and reassuring us what to do and how it will be handled. I will highly recommend him to others…and will…at some time in the future as we consider our next trip, absolutely use Tom for our travel agent. And Wendy, just so YOU know, it was I who called Tom to ask him how/where I should write the review regarding his services because I was THAT pleased by his efforts. Tom listened well, right from our first contact. Never even hinted at pressuring us into anything, cruise line, date, cabin level – just very informative and helpful. My wife and I wanted to take a River Cruise but dislike cruises in general. We strongly dislike large big ships and crowds, large tour groups, all you can eat moderate quality food, and rigid experiences such as seating at meals. We wanted a friendly, fun, uncrowded experience where there were options to freelance, on a somewhat upscale ship with quality over quantity food, with excellent service, and not solely made up of Americans. He recommended Scenic which was new to us, and after doing our due diligence signed up quickly. His recommendation was spot on. Scenic has fewer cabins than most, had options in every stop, large comfortable room, incredibly good service, and staff. The passengers were a mix of Americans, Canadians, Brits, Aussies, Kiwis as well as Italians and French…a great mix. Tom went above and beyond in assisting us with pre- and post trip extensions separate from Scenic offerings, We are very independent travelers and Tom was willing and able to provide recommendations and assistance in helping us decide on where to stay in Budapest, how to get to Munich after the cruise, where to stay and what to do, even as far as helping with our final stay in Lucerne well after cruise end. There were modest issues with low water on the cruise and Toms team kept us well informed. As always, Tom and Ian provided excellent customer service. There wasn’t a lot of planning for this cruise, but they stayed on top of our forms and deadlines. Having them send out gentle reminders to everyone was more effective than my constant bugging of the family. Whenever I have cruise ideas they are ready and willing to give me all of the information I need, and they are quick to respond to my questions. I appreciate their advice on lines and itineraries. I look forward to our continued partnership! I knew I wanted to travel from Amsterdam to Budapest, but I didn’t know what cruise lines to inquire about. Tom Baker listened to my preferences and overnighted me three different company brochures. One of them was a company Id never heard of – Scenic. I made the choice on Scenic and we discussed tours before and after as well as hotels. It was a delightful experience from start to finish. Tom answered every question with comprehensive answers and his recommendations were spot on. Quick responses on every question made my travel planning a breeze. 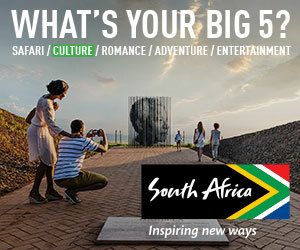 If you have an idea of a trip, he will build it into an experience you won’t forget. I highly recommend this team and specifically Tom Baker for your next trip. Tom and Ian were very helpful in planning our cruise on the Danube. Originally we were considering going with Viking for our first river cruise because they are so well know. However, we were not able to get the dates we wanted, and as it turned out Tom had another suggestion. He suggested we go with a cruise line out of Britain the Riviera. We could not have been happier. The cabins were beautiful, the crew excellent and the excursions were well planned, and we saved money. He also helped in planning our three day add-on trip to Prague, including the airfare, hotel and dining suggestions. He also set us up with Dasa for a private tour of Prague. We cannot say enough about her. She was fantastic! She spent the entire day with us and delivered the most wonderful tour – loved it and lover her! The only complaint we had was the hotel did not offer helpful amenities for weary travelers, the rooms were very dark and offered no place to sit other than on the beds. Other than that it was a wonderfully memorable trip, and we thank Tom and Ian for their work in making it so. In planning an Alaska cruise for 21 family members ranging from 86 to 14 and families requiring varying price points, I needed someone who knew the ships, was organized and flexible. Tom Baker and his team came through beautifully. They made excellent room recommendations, suggested tours appropriate to the different age groups and first and foremost helped me choose the right cruise line: Celebrity. The suggestion that my husband and I take a large suite to -cozily- accommodate all 21 of us (rather than my elderly parents for whom it would have been too chaotic!) worked perfectly. Also- they worked very hard to get us a dinner time that was between the first and second seating to allow for returning tours, cocktails in the suite and still get my parents to dinner early enough. In addition, their patience was infinite in working with our ever-shifting plans! Tom Baker and his team: highly recommended. Tom Baker provided excellent service from start to finish. As a first time cruiser, he took extra time with me to help me understand the entire process of booking and cruising. Not only was I a first-time cruiser, I was planning a trip for our family, a group of 17 people of all ages. He made wonderful recommendations about everything from cabin selections, travel to and from the ports, as well as excursions. He gave us extra credits onboard and was able to get one bed refunded for me as a “tour director”. All of this was overwhelming for me and he never lost patience with me on all my phone calls. I would highly recommend him and will use him for future travels. Tom Baker and his co-worker Ian are top class travel specialists and I’m truly thankful for all they did to make a 75th birthday trip for my mom such a success. Our original plan was to do a river cruise, but due to some physical limitations, Tom pretty insistently recommended against it and I am so grateful that he did. That is what you need in an advisor – honest advice to get the most enjoyment out of a trip. We ended up on an ocean cruise on Seabourn and had an absolutely fantastic time. Within our requirements and time frame Tom picked a great boat and itinerary. We had wonderful rooms and fabulous guides in Saint Petersburg – they make all the difference in a trip. Lunchtime restaurant reservations were made. My parents had one issue along the way with missing luggage and Tom and Ian were on it. Thank you. I would definitely recommend Tom Baker to anyone planning a river cruise in France. He answered all our questions on several calls to him, made recommendations for the right times to visit museums (that were spot on, especially at the Louvre), and alerted us to mistakes we were making ourselves while trying to plan some side trips ourselves. He was friendly & we loved that when we called him he never seemed to mind our endless questions! Thanks, Tom for a great trip & giving us some great advice! Tom Baker is incredibly knowledgeable and shared that information with us as we decided on which ship to cruise Alaska. He helped my sister and I choose a ship with the right itinerary, price, size, amenities, etc. for our group of 17 people. Tom gave us the best price available plus a per cabin shipboard credit. Tom allowed his staff to help with our booking process and unfortunately, we were disappointed with the attention to detail shown by those staff people. However, when there were issues, Tom did intervene – which we appreciated. Tom was always highly responsive to questions both over the phone and via email. He’s incredibly easy to talk to and instantly makes you feel at ease with an unfamiliar process. He checked in with us after boarding the cruise to make sure all was well. We likely won’t book again with Tom because we learned on this voyage that large ship cruising isn’t for us. We will return to the WOW List for our next trip. Tom and his staff were terrific in every way. He communicated well in every phase of the trip from our initial planning stage to a “whoops” moment (my bad) near the end of the trip. His knowledge of various cruise lines and itineraries was vast and proved super helpful. I would definitely book with him again. Although we have traveled widely, neither my husband nor I had ever taken a cruise. We had 2 weeks vacation time upcoming and it was approaching with no plan. Whoops! We looked through the WOW List and settled on the idea of an Alaska cruise in July. I emailed Tom Baker and asked if I was too late to get anything and advising we wanted a great cruise line with excellent food and service. He immediately responded with a list of luxury cruises within our timeframe and some important guidance and suggestions for us first-timers. It took a couple of tries by Tom to find availability last minute, but within an hour he had us booked. He also turned us into getting a bargain (even with last minute booking! ), onboard credits, and explained everything we needed to know from choosing a cabin to shore excursions. He made everything very easy, cost-effective and demystified. He also knew to get us there a day early so arranged and subsidized our excellent hotel (upgraded room, including a marvelous breakfast, transportation) and our post-cruise hotel and transportation — also with an upgraded room, breakfast, several other amenities. He communicated with us regularly before departure, sent us a lovely gift with our travel documents and other helpful information. During the cruise, he also kept in touch. It was clear that if anything went wrong, he would be there to help. The cruise was perfect for us. We are very, very picky demanding travelers. Tom booked us on Seabourn and we loved everything — the suite, professional service, amenities, excursions, food, spa, the people. Everything was excellent and we were on the ship for 2 weeks. Not one mistake or disappointment the entire cruise. We definitely WILL book another cruise with him. My husband is considering an around-the-world cruise and we wouldn’t book anything again without consulting with Tom and using his services. Throughout our cruise adventure, we mentioned over and over what a great idea Tom Baker was. Thanks for the WOW List. I was extremely pleased with the service we received from the Tom and his team. Tom was traveling when I reached out via Wendy’s website, but he immediately assigned us to Lori in his firm, and she took wonderful care of us. We had what I thought was probably a tall order: we wanted to book an Alaskan cruise for the peak season less than two months out. Not only that, but because we had two children too young for their own room, we needed a large enough room or suite to accommodate our family comfortably, which further limited options. Lori did a great job of finding several options. We ended up in a wonderful suite on Holland America with club level access and benefits. Once we were booked, Lori advised us on how best to utilize the ship’s amenities and also on booking excursions. We also decided to spend four days in Vancouver prior to the cruise, and Lori helped us find the best rate on a suite near the waterfront. The trip went extremely smoothly, and Lori handled everything great. She made sure I had her cell number in case I had any problems during the trip, but we did not need it. She also reached out immediately after our return to check and make sure that everything went as planned. I would certainly utilize the CruiseCenter again. There are so many options for most destinations that it can be overwhelming, and having someone who can help find the needle in a haystack when you have specific needs is quite valuable. They did a wonderful job. My husband and I contacted Tom to help us plan an Alaskan cruise with a long-time friend who we hadn’t seen for a few years and wanted to have a trip that gave us time to re-connect. We gave Tom extra challenges in that we had 2 different budgets. Our friend was on a tight budget, and we were looking for an upgraded experience. Additionally, our friend is a non-US citizen who lives and works overseas. I had been to Alaska before and wanted to see some different areas of the state while neither my husband nor friend had ever been to Alaska and wanted to see the highlights. In addition, our friend, who is a trauma surgeon, could only be away from work for exactly 14 days including flight time. We reached out to Tom through the WOW list with all the details of what we were looking for in the trip, other trips we had done, what we liked, what we did not like, etc. In our initial phone conversation with Tom, he had all those details in his mind and discussed them with us. Tom sifted through the plethora of Alaska cruise options and sent us 3 itineraries on 2 different ships that exactly matched all of our criteria. He gave us specific cabin recommendations that fit our needs to a T. We booked the trip and all was on track. Tom also helped us book pre-cruise hotels and excursions which matched our requests. Then we hit a snag. This is where having a TTE is invaluable. Due to a diplomatic kerfuffle, the US stopped processing tourist visas at the embassy our friend had applied. Our friend’s visa application got caught in the fray. He was assigned a visa interview date a year after he filed his application, which was 3 months after our cruise was to be complete. We all watched and waited to see if things would clear. As we neared the time the final cruise payment was due, we contacted Tom and explained the situation. We decided we had better cancel our Alaskan cruise and book a cruise where the 3 of us already had visas. We gave Tom our parameters with the added challenge of less lead time as well as the fact our friend had already arranged coverage at his hospital with another surgeon, so he could not change his travel dates. This time the 3 of us wanted to stay before the cruise for 2 nights, and then my husband and I wanted to add on hotel nights afterward. Low and behold we heard back from Tom within 24 hours with 3 cruise options that fit all of our very specific needs. We picked one cruise and told Tom to book it while finding us equivalent rooms from the old ship on the new ship. Tom handled the cancellation and refund of both our hotel and cruise for Alaska, and booked us on the new cruise, in the Baltic. We did not book too far in advance for this new destination. Tom went above and beyond in booking us a hotel in Copenhagen both before and after the cruise. The pre-cruise hotel website said they were sold out for the dates we wanted, Tom called as well as emailed them and was able to find us 2 rooms, which were perfect and in an ideal location. Next Tom connected with me on the phone while he poured over all of the post-cruise hotel options. He looked at the square footage of the room as well as if there was air-conditioning. Neither which I would have looked at in booking the room on my own. Some of the hotel rooms were incredibly small. Tom also warned me that air-conditioning is something a person might not think they would need in Denmark, but it was an important factor. We were so glad he looked at those 2 features in picking a hotel as Copenhagen experienced a heat wave while we were there. I heard other cruise passengers complaining about the room they booked, saying they could not walk around the bed and have their suitcase open at the same time as well as not having air-conditioning. Tom was available to answer all of my many pre-cruise questions, up until the time we boarded the ship. When the pre-cruise hotel missed a perk Tom had arranged for us, we reached out to Tom from the hotel and he swung into action. We were very pleased with his availability and responsiveness while we were traveling. We received a free upgrade onboard the ship, which I am sure had to do with Tom as we were all first-time cruisers with this line. Tom noticed my birthday was to occur while we were on the trip and arranged a complimentary birthday package for me on-board in celebration, which was a very personalized touch. Our cabins onboard the ship were in the best location possible, at the best rates, and matched what we were looking for exactly. All of Tom’s information and advice about the ship was spot on. I told Tom we did not want to be on any large bus shore excursions as well as we wanted to avoid the crowds from the ship at the sights in port. Tom facilitated booking us with an independent tour operator which offered small size, as well as private, tours at each port. These tours were smaller in group size as well as less expensive than what the ship offered. He went to bat for us with that operator to ensure everything was just as we wanted. Tom sent us all of our travel documents and tour tickets in a well put together folio prior to our cruise, and he sent us an extra gift. We enjoyed working with Tom immensely, and would not hesitate to book with him again. We encourage you to do the same. Wendy, thank you for all you do in vetting these agents so we may all have fantastic travel worry free. Tom Baker and Ian on his team were instrumental in selecting and executing a family cruise for 9 family members to celebrate their mother’s 90th birthday. Because the need for 5 staterooms and early summer date, they came up with the 3 Rivers itinerary on the Amadeus Queen, a great choice. In addition, they helped set up a pre-cruise stay in Bruges and ending overnight in Frankfurt along with van transport between airport, hotels, and ship. The trip was a phenomenal success for all providing lasting memories. At the last minute, our flight changed because of a strike and our travel agent was right on top of it. He planned an alternate route that turned out to be just as good, if not better than the first trip. Thank you, Ian! Tom Baker was extremely responsive to my needs and gets back to me quickly whenever I need something. He ascertained my needs and the kind of cruise I wanted and found a cruise that met my needs. I would go to him first for my next travel needs. Tom Baker did an excellent job in planning our recent cruise on the Danube. Although I contacted Tom very late, given the date I wanted to cruise, Tom managed to find us an excellent cruise that met my timing and cost expectations. He was very accommodating, polite and knowledgeable. His recommendation for having breakfast at the New York Café in Budapest was one of the highlights of the trip. His recommendation for the Boscolo Residence was also top-notch. The cruise itself was fantastic! The boat (the Thomas Hardy) was a beautiful and well run ship. Service onboard was flawless with a very accommodating and polite staff. Every meal was superb. All tours were precisely on-time and very informative. Thank you for a fantastic cruise experience! I KNOW next time we plan a cruise we will be calling Tom. We were a family of 10 traveling for my parents 60th wedding anniversary. We had first-time cruisers and seasoned cruisers, and we wanted to find an itinerary that would allow us to spend time together as well as enjoy personal time. Tom suggested Celebrity and we selected an itinerary in the “ABC” islands with several sea days. Everyone was very happy with the ship – my sister said Celebrity is now her favorite for large ship cruises. Both the sea days and the days in port offered everyone enough sightseeing, shopping and relaxation options to keep as busy (or not) as we wanted. Some of us went to the beach, while others went to town and sightseeing. We all met for cocktails in the wonderful Martini Bar before our family dinner each night. It was a fun and successful cruise for everyone, and my parents especially appreciated the special touches that Tom provided – including champagne, flowers and a delicious chocolate cake in their cabin. Tom is always available and very quick to answer any and all questions I have. I feel comfortable that he knows all of the cruise lines, and the ins and outs of getting the most out of the experiences. He is always enthusiastic and goes the extra mile to ensure the trip goes off without a hitch. We traveled on the Seabourn Odyssey from Barbados to Miami in January 2018. The Odyssey is a beautiful ship with wonderful cabins with ample storage and enough room for 2 people to not feel like they are always in each others way. The spa was wonderful and every treatment was excellent. The itinerary was fairly laid-back. Small islands with a little commerce and great beaches. Note, Martinique and Guadalupe did not have taxis available when we walked off at 10:30 – so it is important to pre-book these if you want to do anything other than a quick stroll on your own. I had assumed we would be fine making our own arrangements in all ports and did not specifically discuss this with Tom – so next time I will confirm options in advance. Also, while I agree with Tom that the Odyssey was a wonderful ship – it is also smaller than many ships we have been on and we did experience more “motion” on the ship in our forward cabin than I expected. The trip was a great success, but I will take more time in the future to discuss ports and better understand the range of likely weather conditions! Ian on Tom Baker’s team is a pleasure to work with and we have a LARGE family. Many details and many addresses. He did a great job. My daughter and I just returned from the Christmas Markets River Cruise on the Danube with Amawaterways. It was a special Mother-Daughter trip for us as we do something together every November and this was our 15th year. As a very big Wendy Perrin fan, I reached out to TTE Tom Baker for his expertise as this was our first river cruise – right from the start it was apparent that we had made the right choice. Tom and his assistant Ian were professional and committed to what they do. I had lots of questions and they were answered fully and in an amazingly timely fashion.Communication and details are very important to me so this was much appreciated. We had a fantastic time and would not hesitate to use and recommend Tom Baker and his team again! This was our first river cruise. We needed Tom to help us choose the river, the boat and the daily excursions. When we decided to extend the trip, he came through with great accommodations at every stop. All of our expectations were exceeded. Tom and his assistant (Ian) were both very responsive to all my inquiries. This was the first time ever that my wife and I went on a cruise and Tom provided excellent guidance and helped us choose the perfect Rhine cruise. We were very happy with his recommendation and if we ever go on a cruise again we will definitely use Tom again. At the end of the cruise, we wanted to stay 4 nights in Amsterdam. Tom helped us choose a great hotel and we were again extremely pleased with his recommendation and the suite he was able to secure for us. The hotel we stayed at was a wonderful way to end the cruise. Tom Bakers service was excellent, and more importantly, his recommendations were perfect for us. He is definitely a world-class travel specialist. While we didn’t need our Trusted Travel Expert to perform any tasks during the trip, the local tour guide that Tom Baker recommended was excellent. I believe this was the greatest benefit of using him. We were able to break free from the crowds by way of a small group tour, which we wouldn’t have known about otherwise, that proved to be much more economical than other more crowded and less personal options. The tour guide and driver were both great, and the tour guide was very aware and took care to tend to our personal safety in a place rife with petty crime/theft (much appreciated). Tom and Ian were very helpful with recommending the right cruise line for our needs, as well as the before and after travel plans. This is the second time we have worked with Tom Baker and it certainly will not be our last! Tom Baker and his staff, especially Ian Lazarus, have always gone above and beyond in helping us plan our cruises and each time has demonstrated true caring of our wants and needs. Tom is always responsive to our calls and questions and is always timely with getting back to us. Tom knew exactly where we should book a room on the ship to avoid as much movement as possible, and we are happy to say he made a fine choice. The room was spectacular and we did not feel as if we were on a moving boat. In making plans for shore excursions, Tom was able to set up wonderful tours that were so very comfortable, with drivers who were personable and knowledgeable about their countries. The tours he set up made our cruise truly amazing and made our vacation that much more special. Tom also set up hotels for us before and after the cruise. Tom knows the best hotels that will suit his clients’ interests, mobility, and budget. The hotels were amazing and had excellent value. Before our departure, Tom sent us our itinerary with all our hotels, cruise information and land tours and included suggestions for restaurants in Rome and Venice as well as other points of interest. He also included comprehensive transfer information, which was invaluable to us for our stay in Venice. Tom is a true professional, with a wealth of knowledge, caring and expertise and we are so happy that we can rely on him to make our vacations truly extraordinary. It is clear to see why he is on Wendy’s WOW list! I was extremely pleased with everything Tom did! He was such a gracious and helpful person. Every detail of our trip was perfectly planned, and we were so happy with the extra little things he provided us with…2 bottles of champagne awaiting us in our stateroom and extra shipboard credit, great advice on where to travel and what trips to take when ashore. We had to change our cruise date and he handled everything for us, no worries at all! My advice would be to trust his judgment and enjoy wherever you end up cruising! Tom or Ian on his team were always reachable and responsive to whatever questions I had. They guided me through the process, ensuring we booked dining venues and excursions on time. They provided a wealth of information on the itinerary and I trusted their input on all excursions – Tom identified which were stops were easy to do on our own, and which ones really needed to be booked through the cruise line for the best experience. I appreciate Toms thorough knowledge of the industry and ability to compare cruise lines and ships to help us make the best decision for our vacation. We’ve already booked our next cruise with them! We cruised from Venice to Greece with stops in Slovenia, Croatia, & Montenegro from July 24 – August 5, 2017. Tom was very familiar with the different cruise lines traveling to Alaska and helped us find a great match. He and his team were incredibly helpful with all aspects of planning. We would definitely work with him again! I am so glad we found Tom thru your WOW List. He is an outstanding travel professional. We booked an Oceania Alaskan Cruise for the first week of July 2017 through Tom, and we booked very last minute—only a month before the trip. Tom was able to recommend the right ship to meet our needs, provide sage advice on excursions, and assist us in obtaining fantastic perks and upgrades. This was our very first cruise ever and I am so glad we worked with Tom. Tom is VERY responsive—I wonder if the man ever sleeps! :-) He knows the ins and outs of every ship and port and is adept at tailoring a trip to meet your needs. As a first-time cruiser—Tom has set a high standard for us going forward—we look forward to working with him again to plan a family adventure. Tom made us feel special and provided a VIP experience even as first-time clients to his firm. Outstanding! Tom and Ian on his team answered many detailed questions about the Scenic experience, assisted with picking out the best cabin for us and allowed us to set up a “payment” plan so that we could have the vacation paid off before we took it. They were most helpful. Tom Baker did an excellent job. Initially, when I expressed interest to Wendy about taking a river cruise, Tom called me right away to discuss the details. There were 4 of us going and he worked with each of us to get the cabin reservations that we each wanted. He got right back to me with any email request I had. He responded while we were on the cruise with last minute restaurant suggestions and other requests. I sent him some feedback regarding the cruise after the fact and he got right back to me and asked if he minded following up with AMA. I have recommended Tom to other travelers and will continue to do so. The reason I gave the trip a 4 out of 5 is because Im not a fan of cruising – we went to celebrate my BILs retirement. It was fine for a cruise, but I would choose to see Europe on land. My wife and I booked our first cruise, an Alaskan cruise, through Tom Baker for our 20th anniversary. After several attempts at contacting many different travel agents who failed to reply or return our calls, I searched the Web for “what to do when travel agents don’t return your call.” I stumbled onto Wendyperrin.com and filled out the Ask Wendy questionnaire. I was astonished when I received a response within mere hours of reaching out to Wendy and more amazed when Tom Baker responded the next day!!! After speaking with Tom, my skepticism dissipated being convinced that we had found an organization with a philosophy of professionalism and excellence. Tom was a tremendous help and never made us feel silly with our open-ended questions or extreme lack of cruising knowledge or the entire process. We took a cruise on the Regent Mariner in May of 2017 from Vancouver to Seward via the inland passage. This was our first cruise and Tom Baker and his team were very helpful in helping us plan this trip. They were very knowledgeable and responsive. We would certainly use them again for future cruises. They were with us every step of the way. I used Tom Baker to plan a Christmas markets cruise upriver on the Danube from Vienna in December 2016. I wanted to take my pregnant daughter on a last mother-daughter trip before the baby arrived. Because she is a physician, her time off was extremely limited and bound by her hospital schedule. When I gave Tom the brief window in early December he immediately suggested a cruise on the Crystal Mozart, which had been completely renovated, is the most luxurious and in his view, one of the best boats for river cruises. And the cruise he recommended was one that he would be on himself. It was also the best value for the money and at 10 days, longer than ones offered by other companies, and had some unusual excursions. The trip was everything Tom had described — and enhanced by his presence. We seldom have an opportunity to meet in person the Wendy Perrin expert who plans many of our trips. So it was a double treat to spend 10 days with Tom. He is as delightful in person as his advice was sound. I do not consider myself a cruise person and have only done a couple of adventure trips by ship. I’d never had any interest in a river cruise but because my daughter did, that’s what we opted for. I was very pleasantly surprised by how well organized and run it was, how interesting the other people were (especially those who were Toms clients, whom we met and spent some time with), and what a wonderful experience this Christmas market cruise turned out to be. I have to admit that this trip altered my view of cruises. In part that is because Tom did such a great job of steering us to a wonderful boat with superlative service and interesting excursions. He really knows his stuff and if I ever decide to do another cruise, it is Tom Baker I would turn to plan it. Kudos as well to Ian Lazarus in his office who was equally knowledgeable and great ensuring all the details were taken care of. We worked with Ian on Tom’s team. I set this trip up for my in-laws, and it was a trip of a lifetime for them through the Panama Canal. The whole family thanks Ian for the time and dedication he put in with us, and their trip went off without any issues. I can’t speak highly enough of Ian. I can’t think of any time I’ve ever had someone help with pre-trip questions and planning with such patience and continued helpfulness. I mean, Ian even helped my in-laws with finding a church to attend in Puerto Vallarta on a Sunday (she’s Catholic), and with how to use their cell phones and mobile travel plans, answering questions way outside the scope of his job. At one point, we were on the phone with them, and Ian called on the other line and we got hung up on: They were so excited to talk to Ian, he’s become like a family friend. Our experience with Ian was the definition of what someone on Wendy’s WOW list should be and the trip (pre, during and post) demonstrated that. I wouldn’t hesitate—not even for a second—to recommend him for any cruise in the future. A better price than I was able to get on my own. Tom Baker provided excellent service. Although I am a pretty independent traveler, Tom got me a better price than I was able to get on my own. His advice on the cruise line and cabin selection were spot on, and he or someone from his team always responded promptly. I never felt rushed or brushed off whenever we spoke. I intend to use him for all of my future needs. I’m a seasoned cruise traveler who does a good amount of shopping and booking myself, but Tom and Ian on his team,made the pain points much easier – updates and schedule changes were sent out quickly, and when someone needed to wait on hold with the cruise line to get a complicated question answered, they were the ones who took care of it for me. A very hassle-free experience, and I would definitely book again. Tom Baker booked a Cuba cruise for us, to celebrate a big birthday. My husband and daughter and I were psyched to circumnavigate the island, seeing different cities and sites while enjoying the comfort and intimacy of a small ship. We put a deposit on two cabins a full year before the cruise. Unfortunately, when it came time to pay the balance a few months before the sailing, the cruise line did not have the necessary permits from Cuba. We didn’t feel comfortable laying out that much money with no guarantee that the cruise would go, so with regret we cancelled our booking. Tom got us a full refund of our deposits. Another travel agent was only able to get a 50%-refund/50%-credit-on-a-future-sailing for a friend who also booked the Cuba cruise. I suspect that CruiseCenter’s reputation in the industry, as well as the tenacity of Tom’s associate, Peggy Huskey, made all the difference in securing our refund. I use a top travel agent to insure that I’m getting the best travel experience. Now I know there’s another reason: when things go south, you want somebody who’s knowledgeable and well-known and well-respected in the industry in your corner. Tom was outstanding in helping us plan our Alaska trip. He responded immediately to our requests and obtained numerous special benefits along the way. We were thrilled with the trip overall and credit Tom with making it so seamless and care free. In fact, we have just booked another cruise for our granddaughters spring break in March and are considering a May cruise to the Baltic sea area. Thank you, Wendy. And Tom! I had a wonderful experience planning a 1 week Alaska cruise, Tom Baker and the team went beyond advise and information in order to get the best for the Budget. I would recommend and use their services for sure. Tom and LuAnn were great! They responded quickly to any questions we had and were extremely helpful as we planned our first cruise. I would certainly book another cruise through them and would also recommend them to friends and family. This was my first cruise so I needed more hand holding than the typical cruise traveler. I took a total of five folks in three cabins. At the end of the day, Tom Baker went above and beyond to get us suite upgrades. We arranged two of our three excursions our selves. The Crystal Serenity is amazing and we were in a penthouse suite. The suite is large with a separate sleeping and family area. The in room amenities included high end food daily to the room – lobster, shrimp, etc. The butler was very helpful. There was plenty of free alcohol available but we dont drink. The boat itself is well maintained and expertly operated. I suspect a larger boat would have a few more activities but the scenery was amazing. The naturalists were excellent and gave multiple interesting presentations. The government affairs speaker was a seasoned Washington reporter and told very interesting stories of inside Washington. The dining room was first class in both service and quality. The food was on par with very high end large city restaurants. The specialty restaurants were a mixed bag and surprisingly the sushi restaurant, run by the same chef that runs Nobu in NYC, was below the level of a neighborhood sushi bar. The sushi was the only bad meal we had all week. All in all truly a great trip. Tom Baker was very accessible both before , during & after our trip. He provided guidance & insight in the planning stage which was appreciated. He made sure we knew he was accessible during the trip, & followed up post-trip. We used Tom Baker of Cruise Center to book our trip in May, 2016 to Alaska. Tom did a great job in all aspects. He got us a good fare, advised when or not to upgrade as to accommodations, provided suggestions as to the various excursions, explained the pluses and minuses of the cruise lines serving Alaska, and always promptly returned calls if he was not available. We highly recommend him. Tom Baker and his team are a dream to work with! Their attention to detail and customer service is out of this world. Tom has seen and done it all so he was able to answer all of our questions far beyond his title of cruise consultant. Not only did he get us on fabulous cruises, he also helped with visa applications and booked us private shore excursions saving us tons of money! We will definitely use Tom for our next sailing and have already referred friends and family. We would not have been able to plan such an amazing trip without the help of Tom and his team.